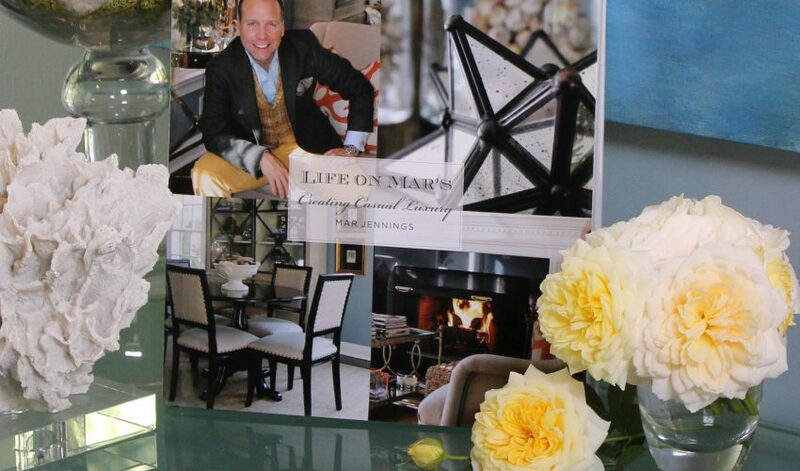 This deluxe oversized coffee table book is filled with photographic essays – beautifully shot by renowned photographer Stacy Bass – highlighting Mar Jennings’ unique Casual Luxury design philosophy, plus practical applications and inspiration for any home. -Insights into each Casual Luxury design principle. -Detailed design deconstruction of every room in his home. -Worksheets and sMARt tips to decode and solve hiddendesign dilemmas. Like an entire season of a great design show, LIFE ON MAR’S: Creating Casual Luxury will give readers access to an encyclopedia of great ideas to apply in their home. This lifestyle expert does it with simplicity and style, balancing natural solutions with everyday elegance that is attainable to all, regardless of budget. DON’T MISS OUTÛ_GET YOUR COPY NOW!